My favorite time to visit a beach town is AFTER the summer hordes have departed. And what I've discovered is that off-season is the best time to visit some beach towns! 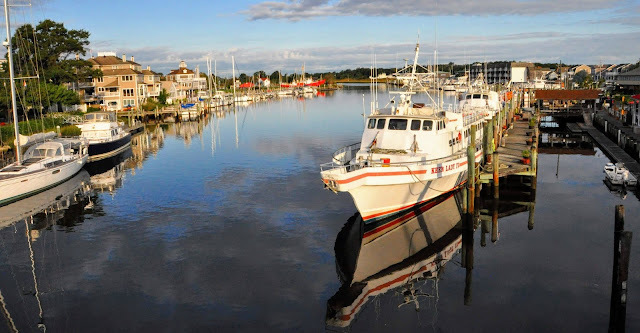 There is so much to do in Lewes, DE, a quaint beach town that sits at the entrance of Delaware Bay along the Atlantic seaboard. Lewes (pronounced Lew-is) was the site of the first European settlement in Delaware, a whaling and trading post that Dutch settlers founded on June 3, 1631. In the 1800s and early 1900s, its population lived off of the resources of the Delaware River, the Delaware Bay, and the Atlantic Ocean. The treacherous waters of the Delaware Bay provided jobs as river and bay ship pilots. 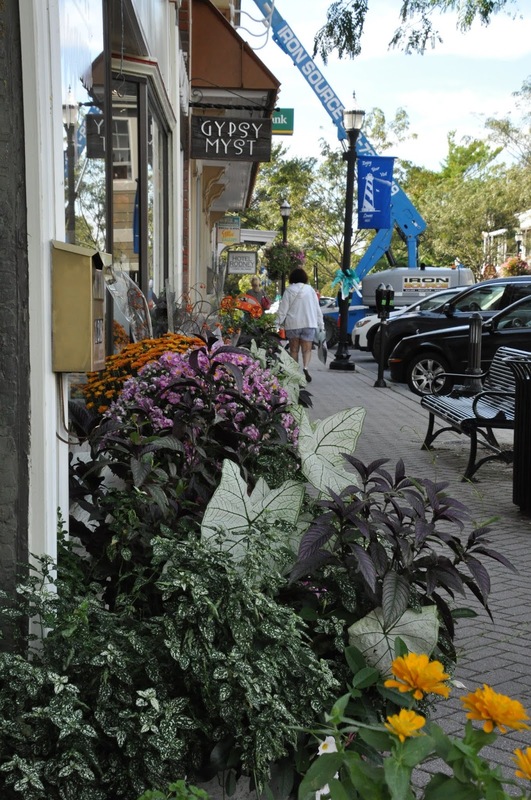 It's a town with a rich history and plenty to do, on and off the beach. During the day, off-season and cooler weather is the perfect time to check out the beauty of the beach, which you can now see, because the estimated 50 thousand summertime visitors to Lewes have largely departed until next May. Hike up and down the almost deserted beach, play in the waves if the weather's right, look for dolphins, enjoy the beauty of the dunes and the wind, sun and sand. But don't forget to rent a bike at the Cape Henlopen State Park (or bring your own) to explore the park by bike. There are several amazing biking paths that will reveal some incredible scenery. 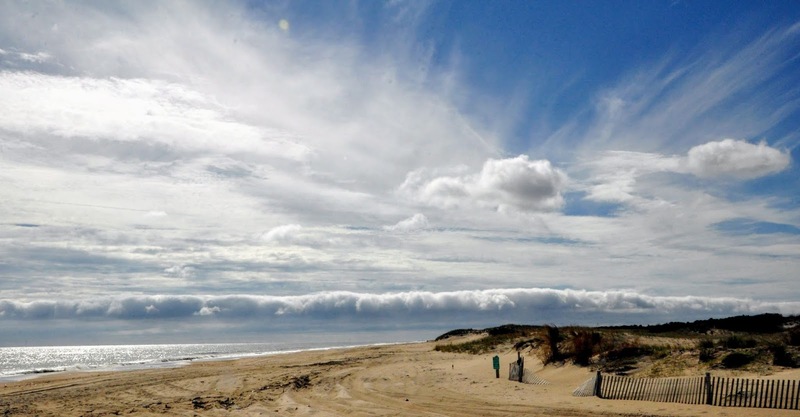 Start with the Gordons Pond Trail, a scant 3-mile long trail that leads you to close to Rehoboth Beach. 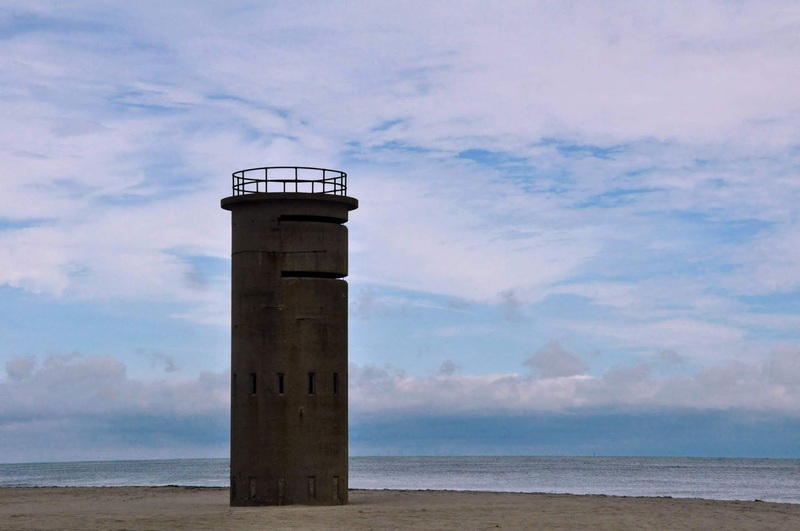 Bike back and check out the Bike Loop Trail through the state park, taking time to park the bikes to explore the foot-only spur trails or climb one of the WWII observation towers. The water plays a prominent part of all there is to see and do there, of course. While good weather holds, there's kayaking options. Quest Adventures/Kayak Shack is adjacent the Beacon Hotel, along Savannah Road, an easy walk from downtown Lewes. 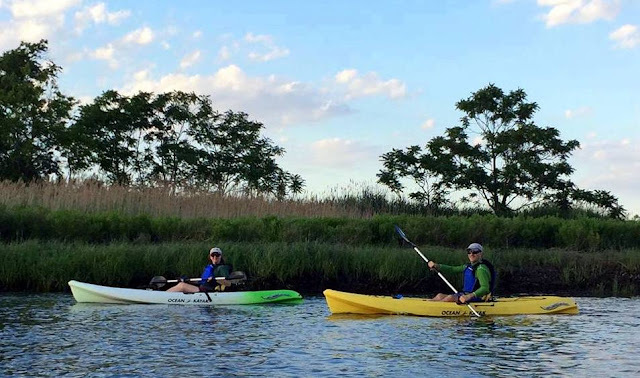 There are a number of kayak tours to chose from, but my choice would be an excursion along the canal and then into the salt marshes. 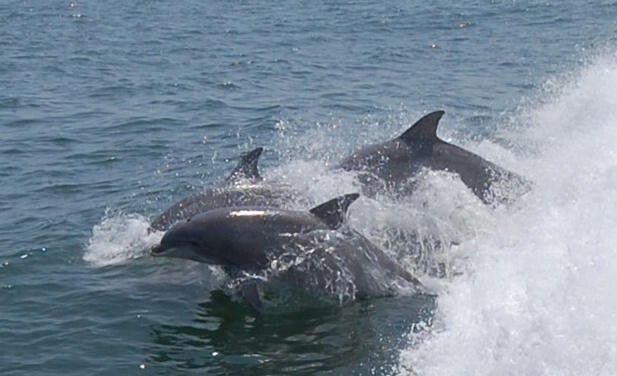 If you have more time, consider one of Cape Water Tours longer tours, such as the Broadkill River Tour, the East End Lighthouse Tour, Dolphin Tours, or its Eco Tour. If you visit in the fall, you'll discover that Lewes has ghosts aplenty. Get a taste of haunted Lewes by checking out the Legends of Lewes tour, which introduces you to the many strange happenings in the town of Lewes. For more about the haunts of Lewes, check out this article! 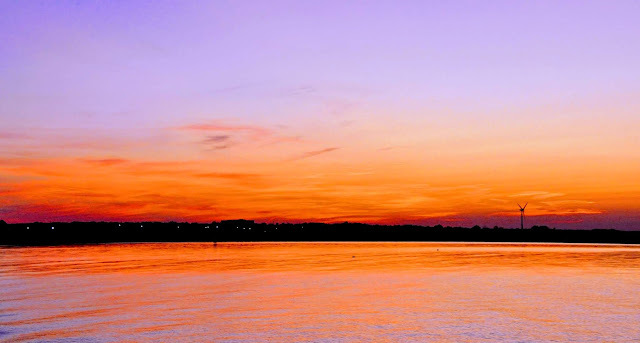 If you're lucky and ghost hunting is your thing, you may be able to catch a paranormal investigation, co-sponsored by the Lewes Historical Society, Cape Water Tours, and the Intuitive Paranormal Investigations at the East End Breakwater Lighthouse or the Cape May - Lewes Ferry Terminal, which was partly built over a cemetery of unknown sailors and drowning victims. No quaint town is truly a quaint town if it doesn't have some boutiques to browse. The good news is, Lewes is a really neat, quaint town! We shopped, and loved, Blooming Boutique. If you go there, say hello to the friendly greeter, Maggie, and make sure you rub her belly! 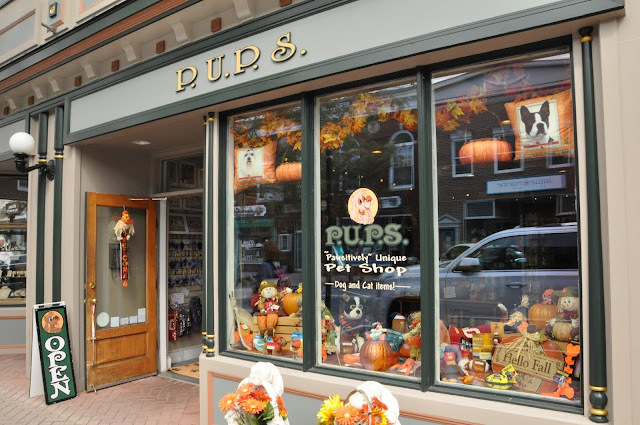 There's also P.U.P.S., everything you'd need for your favorite pooch (and Maggie); the Antique Mall, with a variety of antiques, collectibles, and upcycled items for your home; Deannas, a clothing boutique with some exquisite clothing; and many others. All this hiking, biking, and shopping has surely created an appetite. Whether breakfast, lunch or dinner, or simply an afternoon coffee and snack, there's a place (or two or four) worth trying. Although I recommend the restaurants below, because I've been there and tried them, there are others to choose from as well, and it's clear that yes, I'll have to go back for another weekend to try them! The Blue Sea Cafe offers a nifty breakfast menu that will help get your day started. The coffee is good, and the prices are reasonable. We liked it so much that in our recent visit, we went twice, enticed by offerings such as the Silver Dollar Pumpkin Pancakes and Lahmajun (ground beef, tomato sauce, herbs and spices embedded in a flat pita dough and rolled and covered with red onions, feta cheese and a squeeze of lemon). Knotting Hill Bakery and Coffee Shop also offers a a good cup of coffee, as well as baked treats to start your day or power it along in the afternoon. 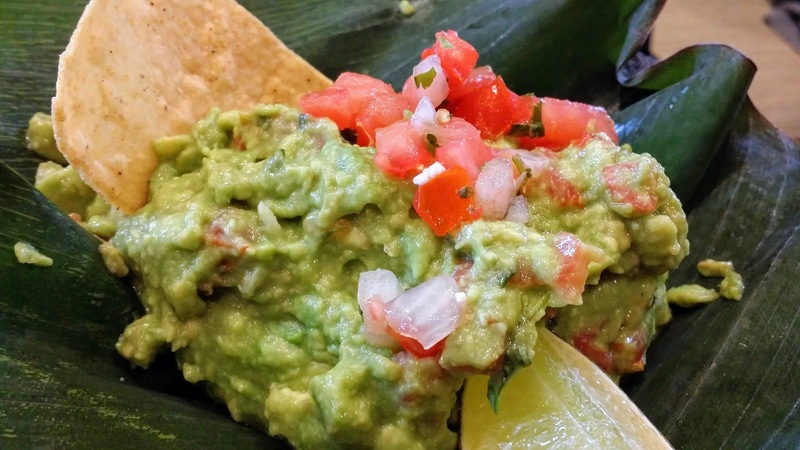 Fresh-made guacamole is a perfect start to a meal at Agave. 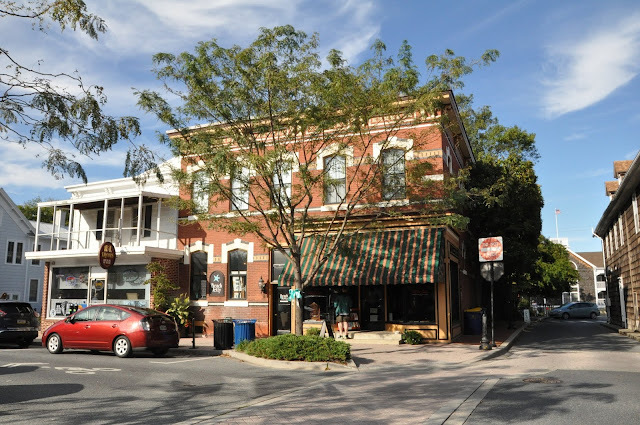 There are multiple options for lunch, but consider, again, the Blue Sea Cafe, or try an upscale Mexican cuisine at the stylish Agave, both located along Second Avenue. Good, solid sandwiches and soups at reasonable prices can be found at Arenas Cafe (where, shockingly, my friend and I also purchased coffee!). For dinner, Agave might be a good choice, but for some interesting seafood and new American, a visit to Striper Bites is a must (located at Second Avenue and Savannah). 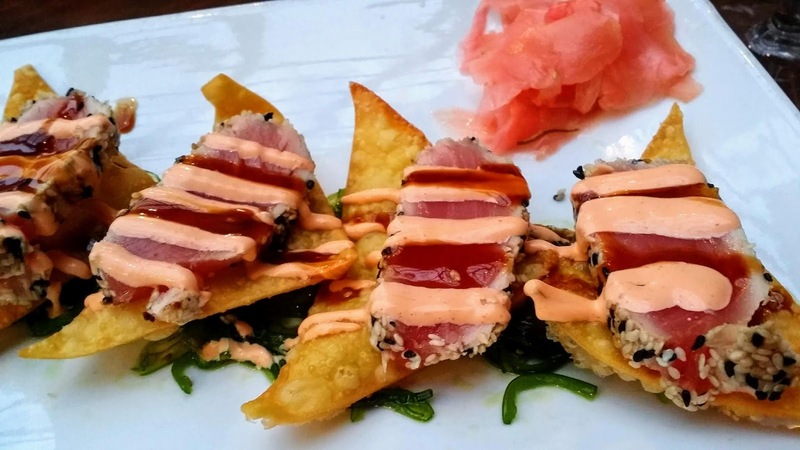 Seared tuna with siracha on homemade tortilla chips at Striper Bites. Generally I'm not a fan of beach hotels, but the Beacon Hotel -- a beach hotel if there ever was one -- is an excellent choice for its convenient location to downtown, plenty of parking, and proximity to the beaches and Cape Henlopen State Park (which is an easy 2-mile bike ride away). And it was both quiet and comfortable, important when you've got an active day of daytripping planned! I'd definitely go back to this hotel! For additional information about Lewes and other southern Delaware daytrip destinations, www.VisitSouthernDelaware.com.